Finding the right decorative accessory to take your design scheme to the next level isn’t an easy task. 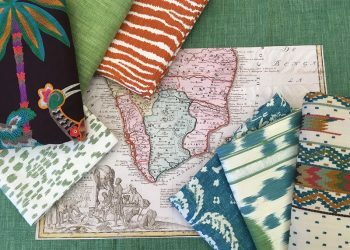 That’s why the style curators at Kravet Inc. scour the globe searching for one of a kind accessories you can’t find anywhere else. As part of our series, Crafted & Curated, we take a closer look behind the artists who create the incredible pieces sold on CuratedKravet.com. K: How did you get started in the home furnishings industry? 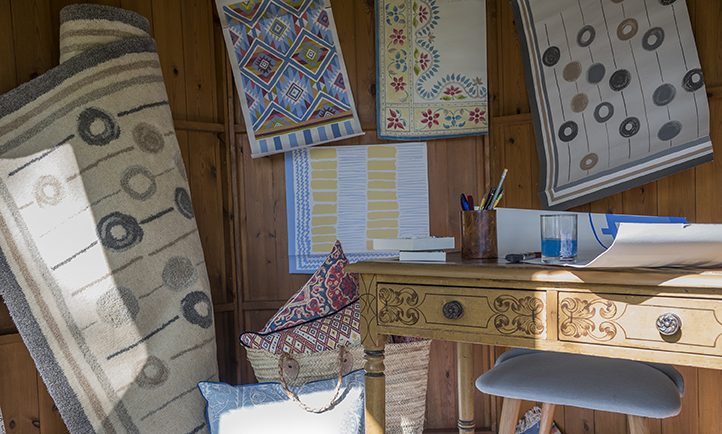 W: Fabric and design have been part of my life for as long as I can remember. When I was ten years old, my mother, Liz Downing, and her business partner Anne Dubbs, founded Blithfield, a London based fabric and wallpaper company. I grew up in London surrounded by antique documents, fabric cuttings and wallpaper samples and spent many weekends and holidays helping out at trade shows and in the Blithfield sampling department! Blithfield taught me how to modernize classic designs, play with color and scale and the importance of textiles in a home. It became clear early on that I wanted to follow in Blithfield’s footsteps. Their entrepreneurial spirit was contagious. After moving from place to place in my twenties, I grew frustrated with the lack of unique and affordable design and so launched Wicklewood to provide people with bright and beautiful home décor that will transform a living space and move easily from home to home. K: Where do you look for inspiration when coming up with new patterns for your cushions? 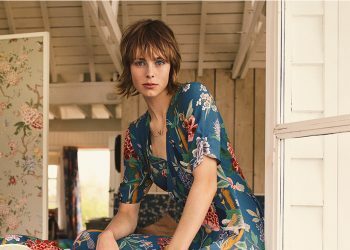 W: Wicklewood is unique as it is inspired by three generations of women in my family passionate about textiles, design and individuality. 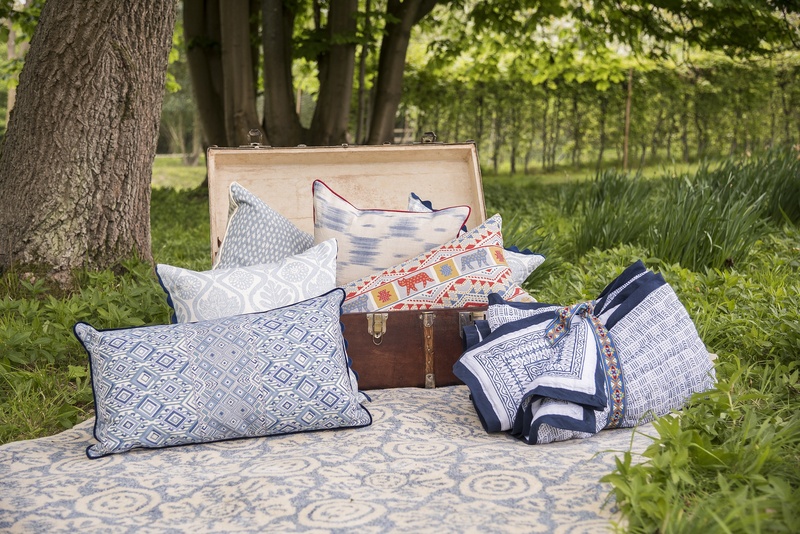 Our designs are influenced by classic weaving motifs from the archives of my great-great grandmother, the renowned Guatemalan textile collector Lilly De Jongh Osborne, the colorful designs of the iconic fabric and wallpaper company, Blithfield founded by my mother, Elizabeth Downing and Anne Dubbs, and my own personal experiences traveling and moving from home to home. K: Tell us a little more about your great-great grandmother and how that inspired your current entrepreneurial spirit. 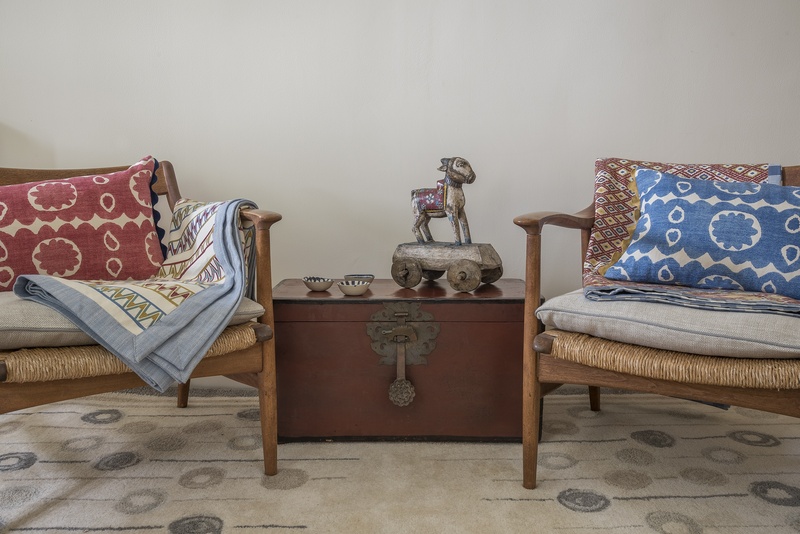 W: My great, great grandmother – or ‘Mamita’ as we used to call her – Lilly De Jongh Osborne was a prolific collector of textiles and crafts from Central America in the 1930s. Lilly was a Dutch woman raised in Costa Rica. She had a love of meeting new people, a distaste for ladies’ luncheons and a fascination with Guatemalan traditions and culture. Lilly spent her days traveling on horseback through the highlands and exchanging new textiles with old. She carefully documented her discoveries and dedicated decades to becoming a pioneer collector, writer and lecturer. I grew up hearing her legendary stories and surrounded by the motifs, colors and designs from her archives — one of the world’s largest of Guatemalan textiles. All of this inspired and formed the foundations for the inaugural Wicklewood collections. K: Cushions like yours are easy statement pieces – what role do you think your cushions play when designing an interior? Do you keep that in mind when designing your patterns? W: We believe that your home should be a reflection of you and your personal style and think that cushions are the perfect way to express this. They are comfortable and decorative and present the perfect opportunity to add color, texture and character to your home. Our cushions are reversible and so you can change the look of your room with a simple flip, or you can switch out cushions each season for a new color scheme. They are an easy way to transform a home and tie together the other colors in a room. We spent almost a year, perfecting the colors in our inaugural range to ensure that our designs are all complimentary. By building out from a central piece comprising of various colors, you can use color to bring different patterns and styles together, allowing your home to exhibit an exciting variety of designs and textures without it looking cluttered and over the top. K: Talk a little about the process of making these very soft cushions. W: We design the fabrics for our cushions ourselves in our London studio and work with expert artisans around the world who use traditional textile techniques, such as jacquard loom, pedal loom and backstrap loom weaving to bring our designs to life. We also partner with Blithfield to utilize some of their colorful printed designs and incorporate these into our collection. Our Wicklewood original fabrics comprise of jacquards woven in India and jaspes (Guatemalan ikats) handwoven in Guatemala. 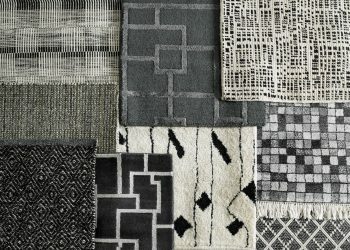 Jacquard is a type of fabric with a complex woven pattern which resembles embroidery. Using the Jacquard loom distinct patterns are woven directly into the fabric. 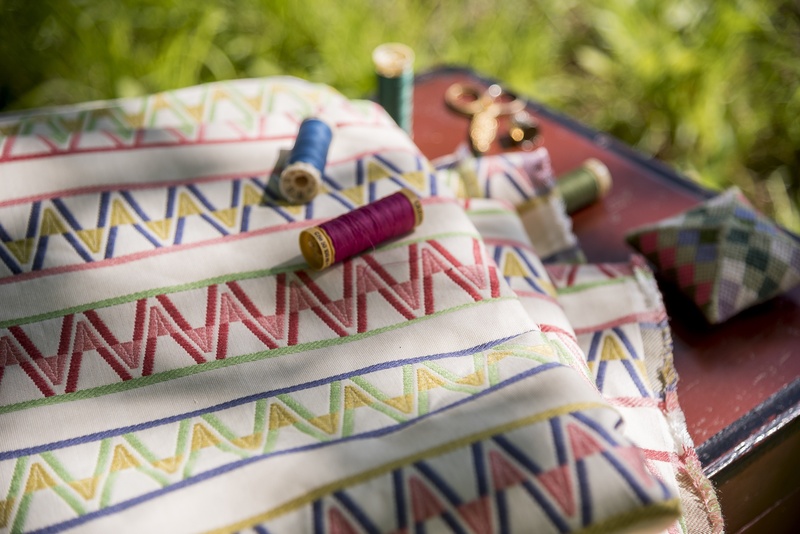 Some of our intricate Guatemalan designs have been woven on a jacquard loom to preserve the minute details found in the original textiles that inspired our designs. With the fabric complete, we ship it back the U.K. where our cushions are made and filled with an oversized down insert to ensure maximum comfort. 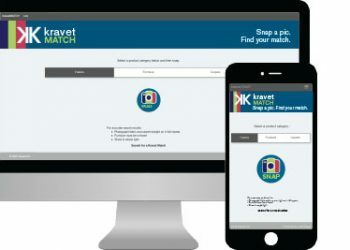 K: What’s it like for you to see your work featured on CuratedKravet.com? W: Really exciting! When I launched Wicklewood, Kravet Inc. was top of our list for partners to work with, having been the primary source for interior designers for nearly a century! I love that the brand maintains an edited collection of only the most unique, high-quality product. 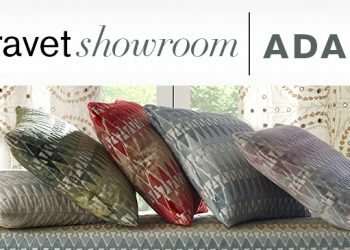 As a British-born brand, we specifically selected Kravet as our first U.S. partner, as we understand the time that is spent hand-picking pieces from the global design market and respect this immensely. 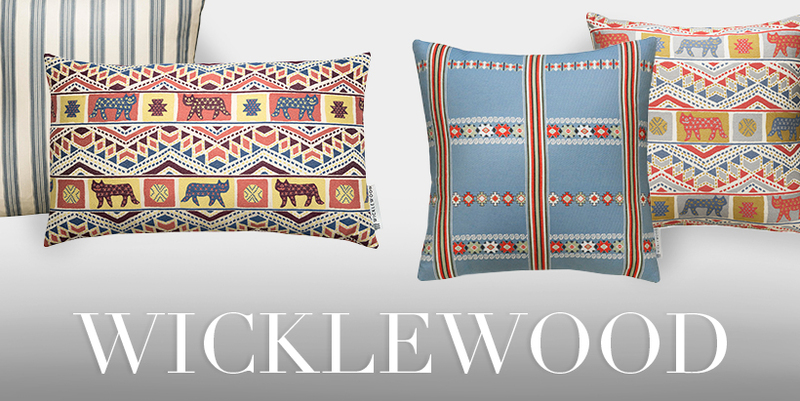 Shop Wicklewood pillows on CuratedKravet.com here.